Planning to make your own baby food? You’re definitely not alone. A lot of parents are looking into the pros and cons of making their own and some of the biggest pros are being able to control what goes into your baby’s food and the cost savings that go along with it. You definitely won’t have any problem getting some great quality baby food with a blender, as long as you’re getting the right baby food blender and you don’t get sucked into spending more than you should. Below we have done an in-depth review on what we think are the 5 best baby food blenders on the market today. 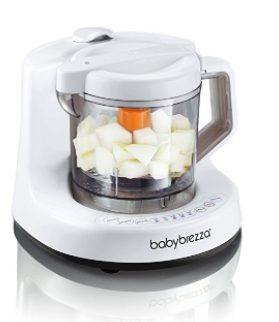 The Baby Brezza Baby Food Maker offers a whole lot more than just a traditional blender. That’s because it’s actually a blender and a steamer that’s designed specifically for making food for your baby. With this system all you have to do is put the food that you want into the bowl and set your own steam time. The mixer will take care of the rest for you. It blends everything down and then steams it so it’s safe and yummy for your baby to eat. Completely BPA free and phthalate free, the bowl as well as the blade to go inside of it are dishwasher safe, so you don’t have to worry about the cleaning process before you’re ready to mix up the next dish. You get five different time settings for steam as well as the option to steam and blend or just do one or the other. Decide it’s ready before the time is up? There’s also a stop function so you can stop whenever you want. The Magic Bullet Baby Bullet is actually more than just a blender. You get 6 date dial cups, a short cup, a resealable lid, a tip proof tray and the batch bowl, plus a whole lot more. With the batch tools you’ll be able to make up a whole week of food for your baby and separate it into smaller containers that are even dated and sealed. Then all you do is stick them in the tray that keeps them from spilling or tipping while you transport them or while you’re storing them. Just like that they’re ready to go anytime. With this system you’re definitely getting everything you could possibly need. The system uses a 200 watt motor and produces 8 cups of food in just one single jar. The containers are all BPA free so you know they’re safe for your family and they’re dishwasher safe so you don’t have to worry about the cleanup process. Just put them in the dishwasher and be ready to go next week. 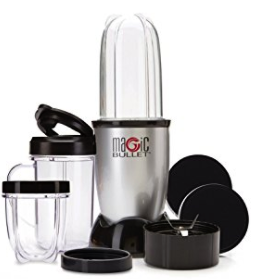 The Magic Bullet Blender is the first of our options that isn’t specifically made for babies, but it’s definitely something that’s going to work well for them and for you. This one comes in four different colors and has 11 different pieces so you’re going to be ready for absolutely anything. Priced a little lower, around $40, it comes with the base and three different jars that you can use to blend in so you get different amounts whenever you want them. It’s also able to do more than just blend. You can use it for mixing and chopping as well as grinding some harder products. When you pick up this blender you’re also getting a 10 second recipes book that makes it a whole lot easier for you to figure out just what you want to make, and do it quickly. All of the cups and lids are dishwasher safe, making it a whole lot easier to clean and the blade is super high torque as well as having a cross blade so you get just what you need every time. 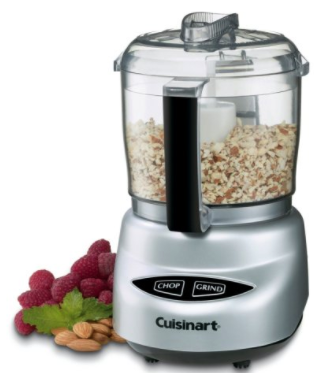 The Cuisinart Mini Prep Blender is priced around $40 and is designed to chop up everything and then blend it down into the right consistency for your favorite smoothies or your baby’s favorite food. You just use the push button control panel and you’ll be ready to go in no time at all. Available in several color options and 2 size options, this blender is completely dishwasher safe and easy to clean when you’re done mixing up food for the day. Made with BPA free plastic and stainless steel blades, the entire system is lightweight and easily transportable when needed. The 250 watt processor and 3-4 cup plastic container are easy to use and you can easily pour everything you want into the top and get it just right. The handle on the bowl also makes it super easy to pour out whatever you’ve made into your own containers, so you’re going to have everything stored just the way you want. 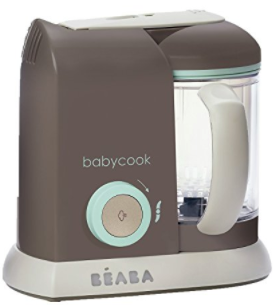 You’ll pay a bit more for the BEABA Babycook 4-in-1 at around $150, but it’s going to do a whole lot when it comes to prepping your baby’s food. It’s able to cook and process your baby food in less than 15 minutes and it’s able to steam, blend, defrost or reheat anything that you want to serve. 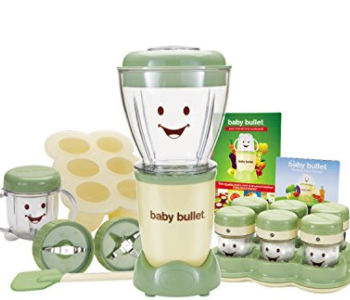 That means you can even whip up some baby food and freeze it for use later then put it in this blender to heat it back up so it’s all ready for your baby to enjoy. When you’re using it you also get an auto-shutoff feature that has an audible alert whenever the machine turns off. The water reservoir is made with stainless steel and the plastic canister contains no lead, phthalate or BPA. You can put everything in the dishwasher when you’re done with it or slide it under the cabinets when you’ve got it ready for next time. Since it makes over 17 servings of baby food at a time you won’t have a problem making sure it’s ready to go whenever you want or that you have the right amount of baby food ready. 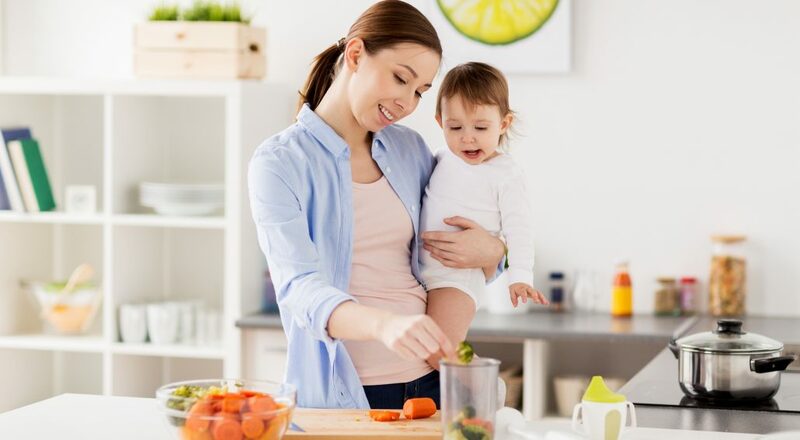 Any of these baby food blenders is going to get you and your little one ready for the day, so make sure you’re not missing out on anything when it comes to keeping your little one on healthy and fresh food.